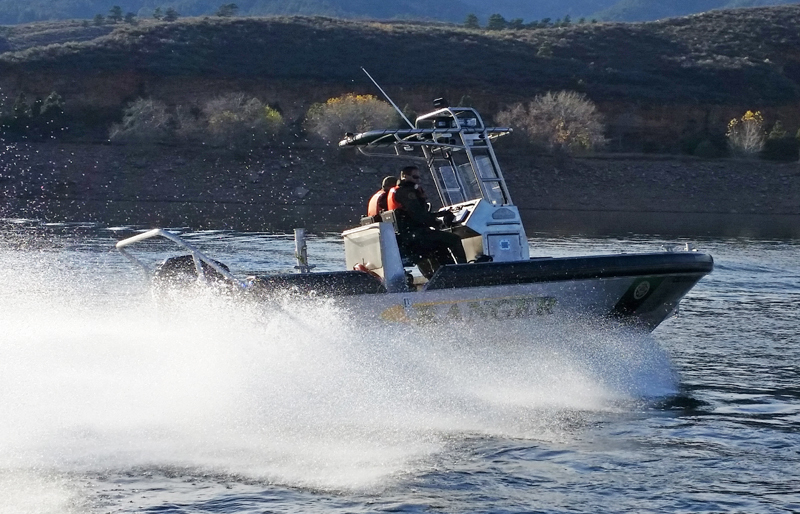 The Metal Shark 21 Relentless is a welded aluminum center console with a versatile, crew-friendly layout ideal for law enforcement, security, and response missions. 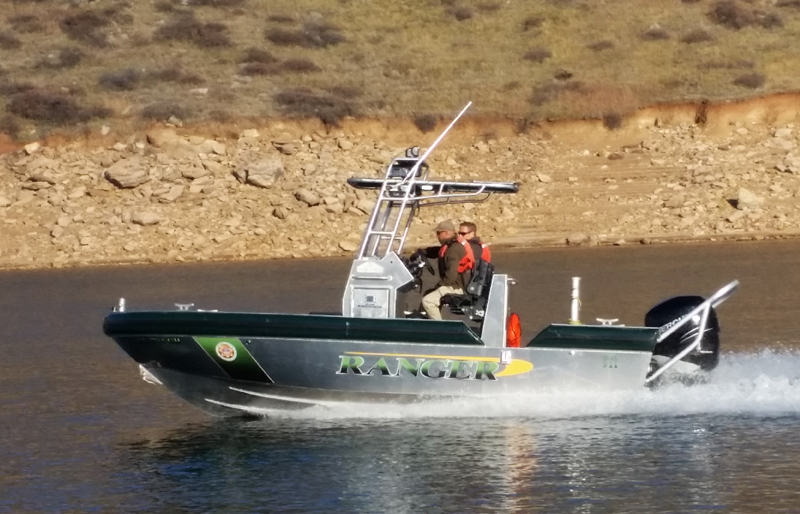 The vessel is popular among law enforcement agencies who require a easily trailerable and quickly deployable first responder that provides the stability and ride of a larger craft. With its unique progressive-deadrise hull design, the 21 Relentless traverses the shallows with ease while still providing a comfortable ride in choppy conditions. Digitally designed, router-cut, and precision-welded from plates of premium 5086 aluminum alloy, the proven 21 Relentless is in service with law enforcement agencies from coast to coast. 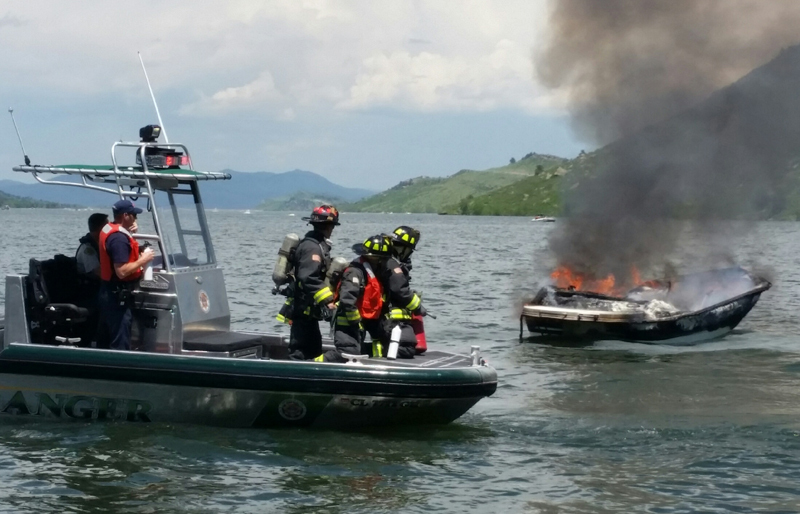 Special thanks to the Larimer County (CO) Department of Natural Resources for the 21 Relentless images shown here. Thanks to its progressive-draft hull design with shallow aft deadrise that transitions to a sharp forward entry, the 21 Relentless operates in shallow bodies of water yet still provides a comfortable and surprisingly dry ride in choppy conditions. With power options up to twin 200 HP outboards, the 21 Relentless is quick and capable. 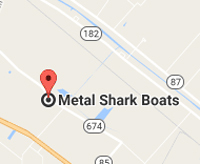 Metal Shark is an OEM installer for all major engine brands and can equip the 24 Relentless as required to suit virtually any customer preference. The 21 Relentless features a wide-open layout, with a large flat non-skid floor and wide gunnels that provide sure footing and nearly 360-degree accessibility. Integrated dive reliefs have been provided on both the port and starboard side, which facilitate on-water boarding as well as personnel recovery operations. A durable urethane-sheathed, closed-cell foam collar fendering system adds even more utility, without robbing valuable floor space. 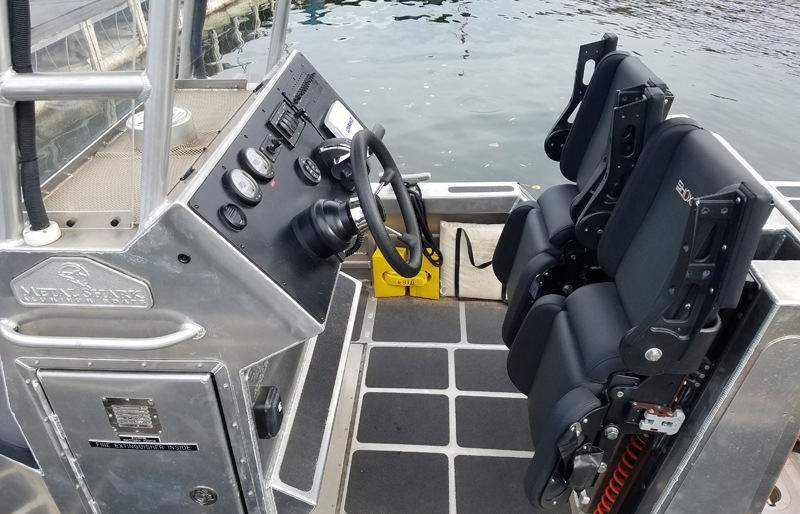 Other mission-enhancing features of the 21 Relentless include a large non-skid forward working platform, numerous console, top, and seating options, and gasketed lockers providing plenty of dry storage.